Forest River Cedar Creek produces some of the highest quality recreational vehicles on the market today. From their travel trailers to their luxury Fifth Wheels, they run the gambit of excellent RVs. One of their most stunning luxury models though are the Cottage Creek Models. Made for the long haul, these destination trailers are perfect for those who want to take off on the open road, find a spot and stay a while. If you are in the market for a destination trailer and want the highest quality construction and tons of luxury features, then the Cottage Creek is for you! These models are so well done that you are likely to forget you are even camping in the first place. Enjoy features such as crown molding, a large master bedroom, chef’s dream kitchen and so much more. If this sounds like something you need in your life, check out all of the stunning inventory here that Crossroads has to offer. You can grab this beauty for a steal this season! Featuring an epic home theater setup, residential pantry and an open living space, this is a must see! Not only can you enjoy the stunning kitchen and entertaining area, you will also be sleeping on a cloud with Serta Mattresses! If you want family friendly, then this is your model! The wide open kitchen with island is perfect for making meals for the whole family. 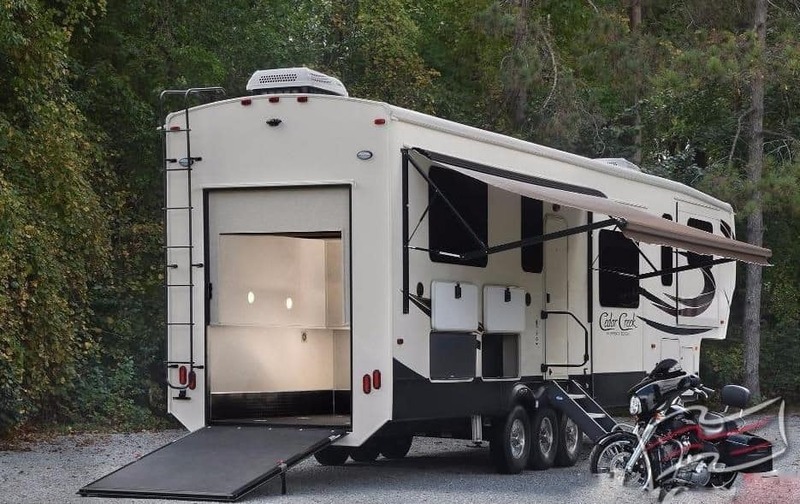 Featuring bunk beds to sleep any kids and two entrances, this is one destination trailer that you don’t want to overlook. With the two aforementioned models, along with numerous others in stock, Crossroads Trailer Sales is your number one New Jersey Cedar Creek Cottage dealer. Come on in and speak to one of our customer service experts about your wants and needs today! We are ready and waiting to help you get into the RV of your dreams! With one of the most widely recognizable names in the RV industry, Dutchmen prides itself on being a company that truly produces the best of the best when it comes to their Trailers. 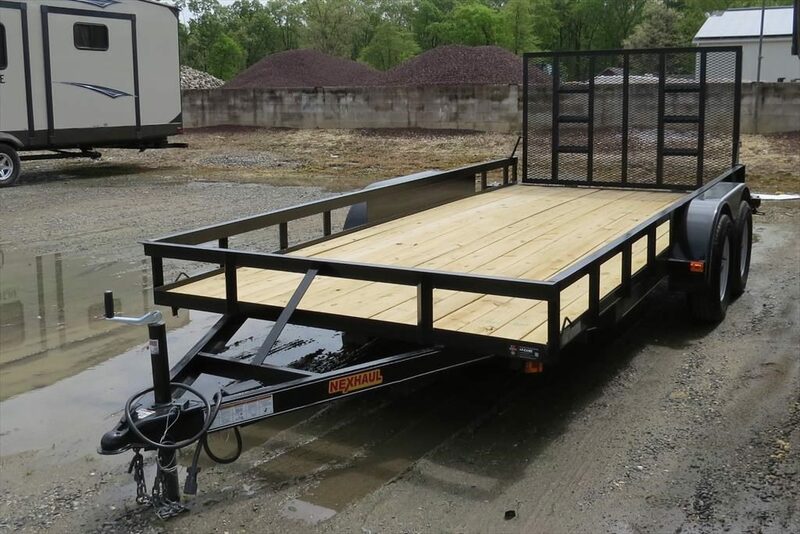 If you are in the market for a new trailer, then Dutchmen likely has what you are looking for. They have a floor plan, size, and price point to match any of your unique needs! The Dutchmen family of trailers includes some of the most renowned names in the industry. From Astoria and Aerolite to Aspen Trail and Coleman, Dutchmen manufactures some of the best of the best on the market today. 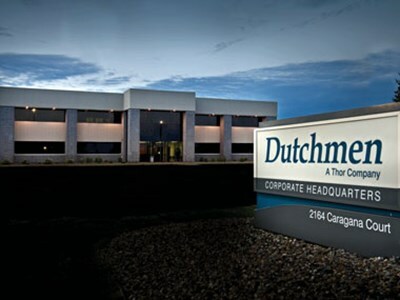 Since 1988, Dutchmen has been leading the way in innovations and market leadership. They fully back each and every one of their dealers and truly believe that every owner is a member of their extended family. The Dutchmen Aspen Trail combines luxury and comfort with the affordability of a Travel Trailer. The Aspen Trail is an RV meant to help connect luxury and nature allowing you and your family to fully enjoy the high end features that bring the outdoors in. The Dutchmen Kodiak is here to expand your horizons and elevate your experience. This lightweight Travel Trailer is easily hauled by a truck or SUV, but lightweight doesn’t mean light on features. They pull out all the stops to make this is a luxury trailer with all of the amenities you love from home. The Dutchmen Astoria is their fully loaded Fifth Wheel. With that luxury feel at a more affordable price, this is quickly becoming one of the top selling Fifth Wheels in the country. No matter your desires, Dutchmen has a trailer for you. Luxury trailers with an affordable price point, Dutchmen really raises the bar and keeps the customer in mind in all that they do. 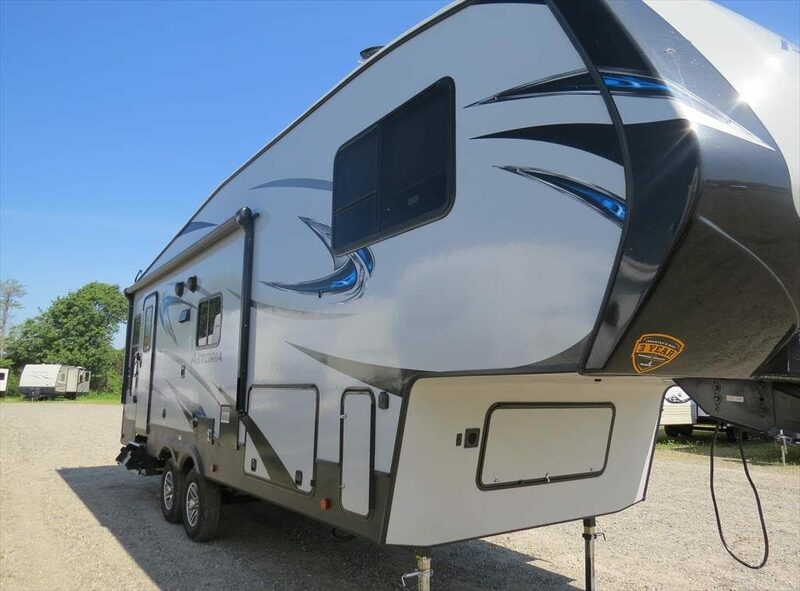 If you want to get into one of our stunning Dutchmen Trailers, come see all of our in stock offerings at Crossroads Trailer Sales and start living your RV dreams! 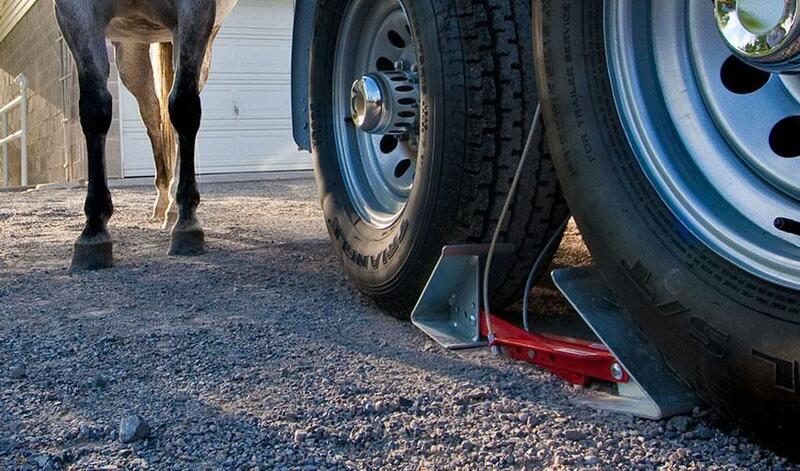 Sundowner Trailers has been America’s number one in Horse Trailers since 1976. For over 40 years, they have been providing high quality Horse Trailers that are not only beautiful, but safe and economical at the same time. 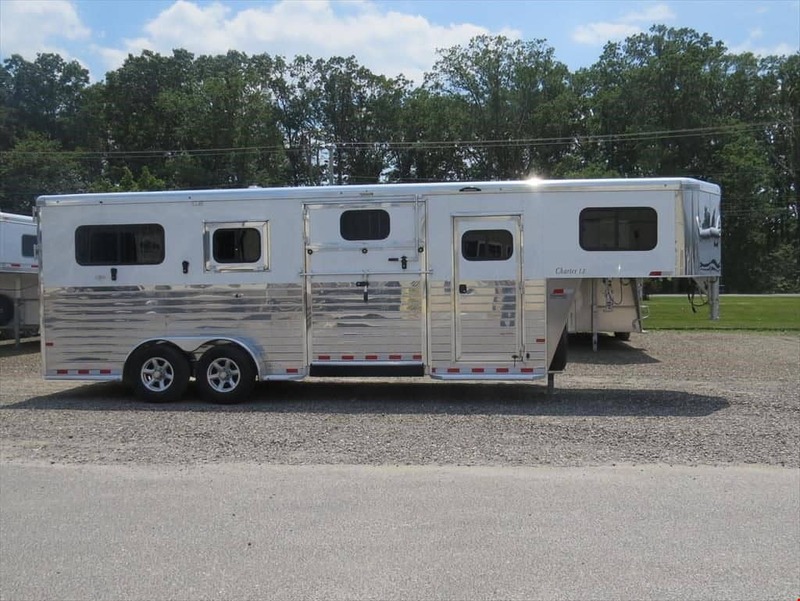 Here at Crossroads Trailers, we are proud to be able to provide a wide range of Horse Trailers by Sundowner for all of your unique equine needs. When it comes to carrying your precious cargo, Sundowner knows how important safety can be. Whether your horse is a member of your family, business asset, or a combination of the two, Sundowner knows how important safety is to you, so that makes it of high importance to them as well. With their Horse Trailers designed with the safety of you and your horses in mind, you can rest assured that everyone is protected while you are going down the road. Sundowner Horse Trailers come in a wide variety of models and dependent on your needs, there is something for everyone! Sundowner offers plenty of smaller bumper pull horse trailers that are the perfect fit for up to two horses. If you are looking for a smaller recreational trailer so you can bring your four-legged friend along with you, one of these bumper pulls may be the perfect option. 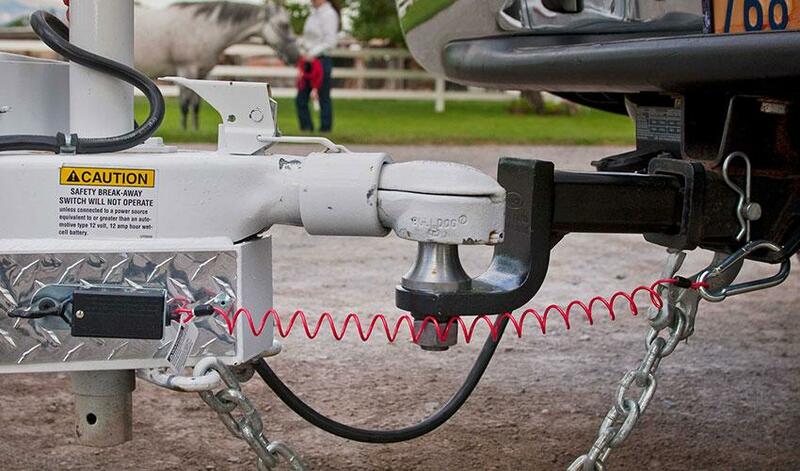 If you are looking for something a bit bigger, Sundowner also offers a variety of different Gooseneck Horse Trailers. 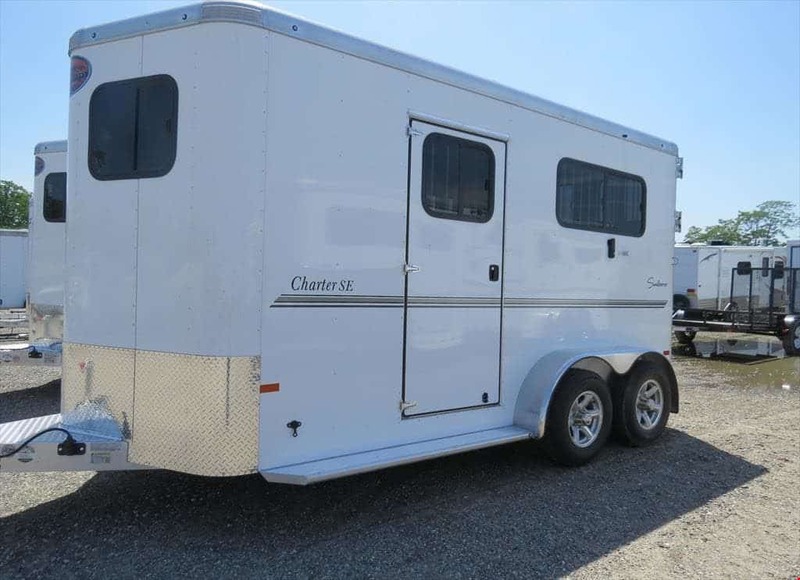 Larger and more capable of hauling multiple horses, some of these even have dressing rooms or living quarters included for your comfort. No matter if you are a rodeo cowboy, a trail rider, or on a riding competition circuit, sometimes you need a place to rest up and get changed when you are on the road. 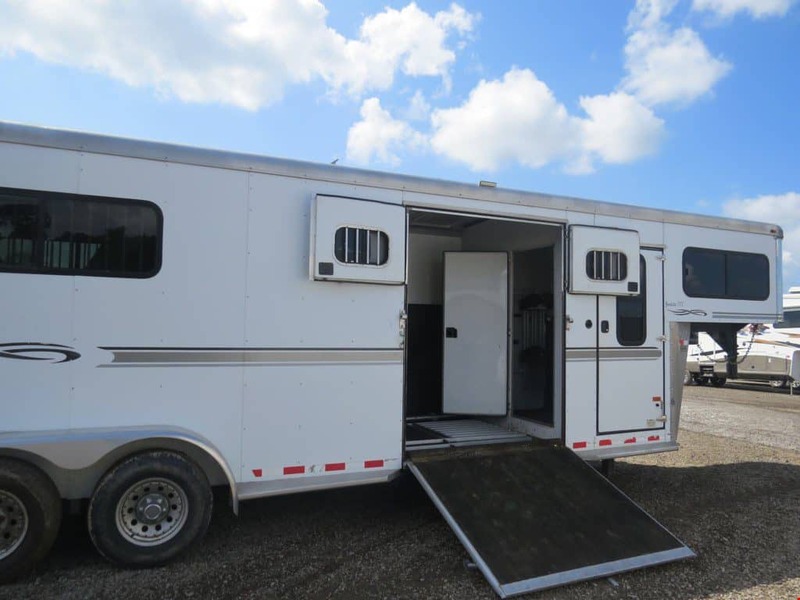 Having a Sundowner Horse Trailer with living quarters or even just a dressing room can make the travel so much easier on you, especially over long distances. So if you are in the market for a new horse trailer and happen to be in the New Jersey area, one of our customer service experts at Crossroads Trailer Sales would love to help you with all of your unique needs. Let us show you around and teach you about all of the different makes and models to find the one that is best for you. Travel wherever the road leads you with a Forest River Cedar Creek Fifth Wheel or Destination Trailer. The Cedar Creek line is crafted specifically with the camper in mind. 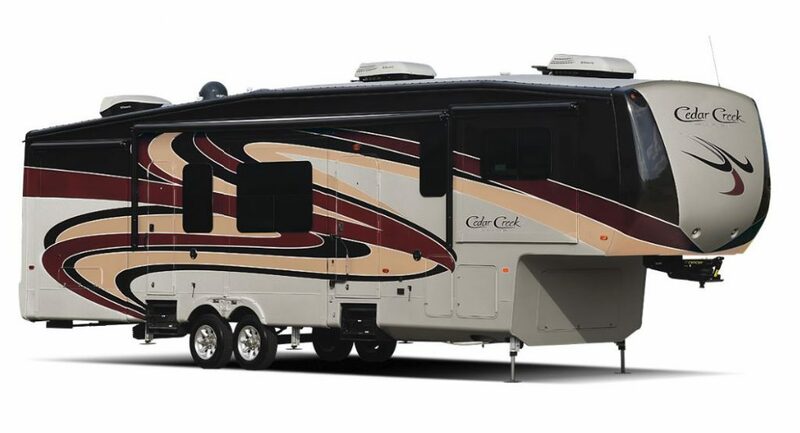 They are built to withstand rugged conditions and extreme temperatures, while still ensuring that you are traveling in style and comfort.With Forest River Cedar Creek, you can enjoy the outdoors and maintain your peace of mind with these top quality recreational vehicles. 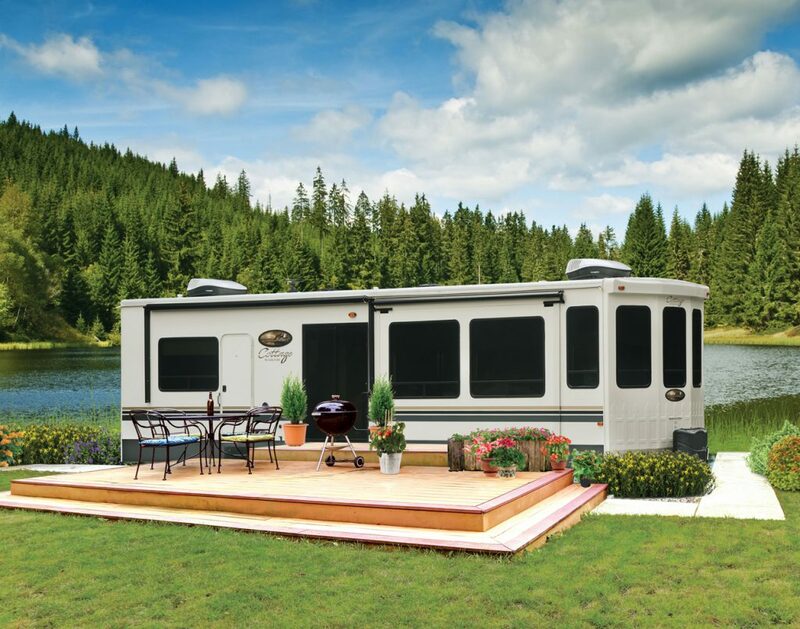 Cedar Creek by Forest River offers only the highest quality Fifth Wheels. 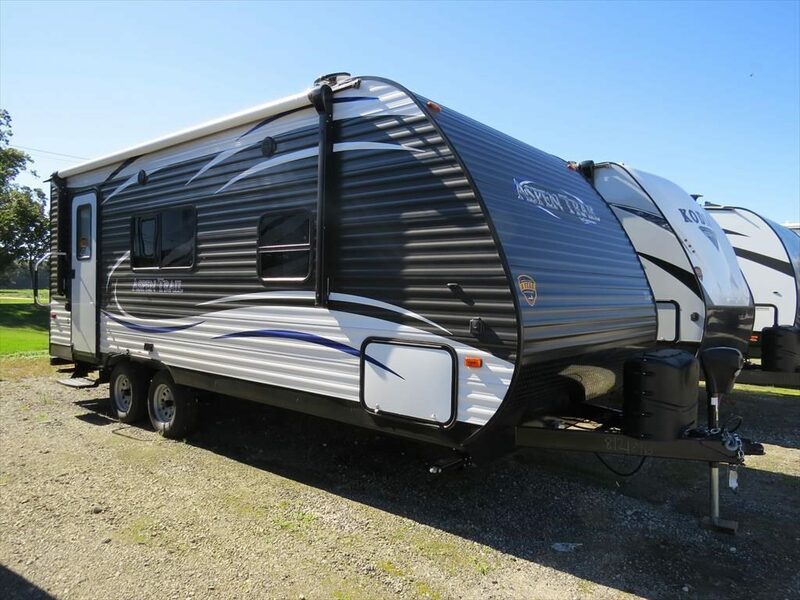 Built for adventure and comfort, these RVs are perfect for anyone wanting to hit the open road in style while maintaining all of the comforts of home. Many of the Cedar Creek Fifth Wheels offer premium features such as the Whisper Quiet Low Profile, Automatic Leveling and so much more! 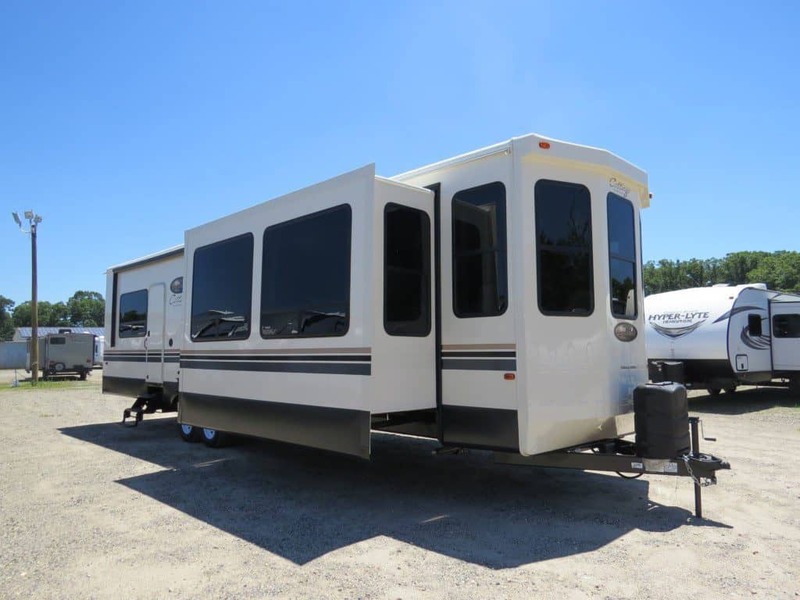 See Crossroads Trailers full inventory of Cedar Creek Fifth Wheels here. Forest River Cedar Creek line also includes Toy Haulers. If you are in the market for adventure and want to take your toys along for the ride, then this is the perfect option for you. With So much room for activities, you won’t even know what to do with all the space. Haul your ATV or UTV anywhere your heart desires, without sacrificing on comfort and luxury. 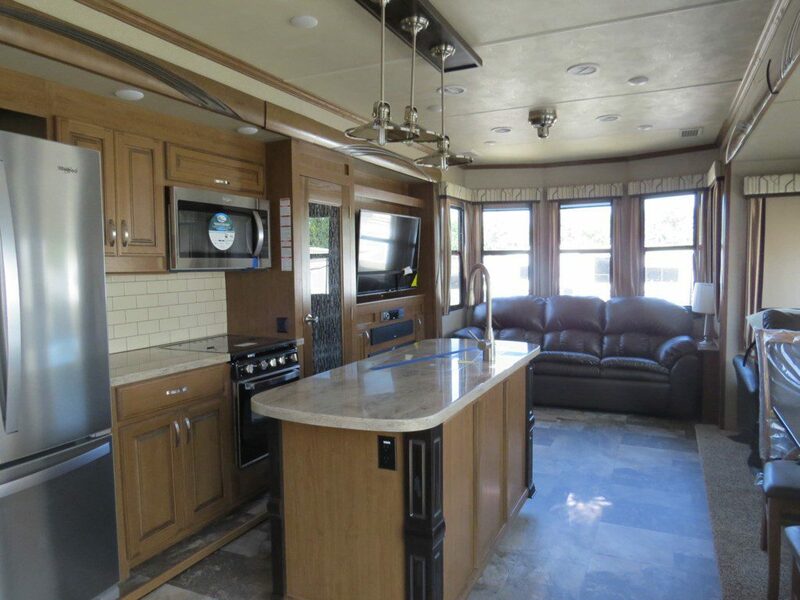 The Cedar Creek Toy Haulers are top notch, even featuring fireplaces, entertainment centers, and up to five slide outs! 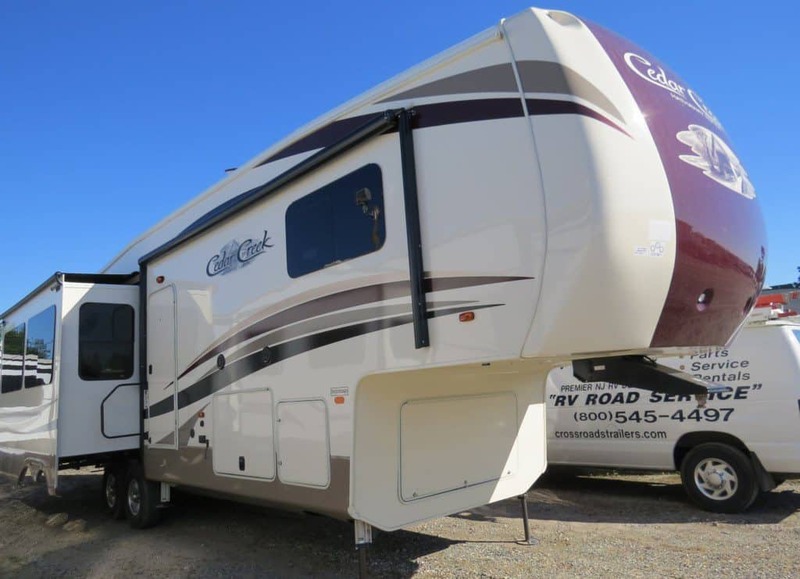 Take a look at this Cedar Creek Silverback 37RTH Toy Hauler and fall in love today. No matter your style, Cedar Creek by Forest River has something for you. 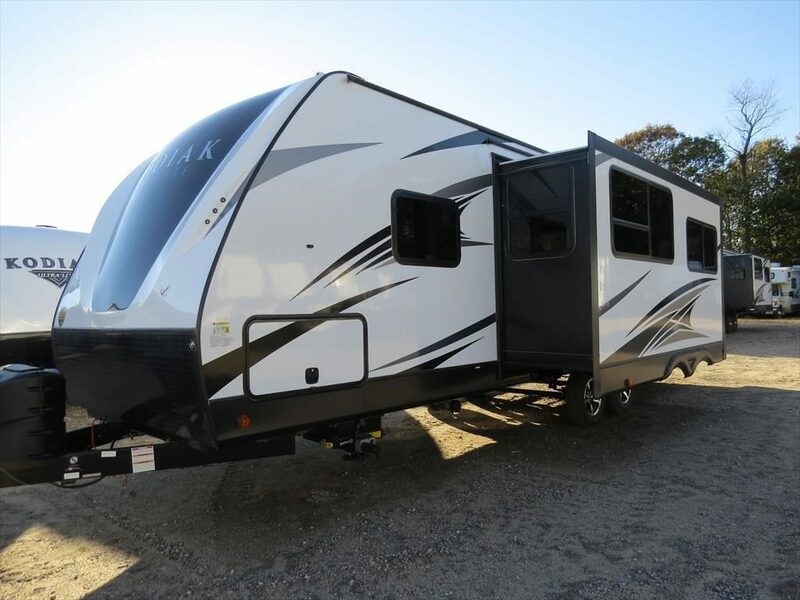 Whether you are looking for a Toy Hauler, Fifth Wheel, or Destination Trailer, Cedar Creek has what you need. Don’t sacrifice comfort for convenience! You can have both, and that little something extra when you go with the Forest River Cedar Creek lineup of RVs. You can see all of the in stock offerings right here at Crossroads Trailer Sales today and start living your travel dreams! Here at Crossroads Trailers, we pride ourselves on only providing you with the highest quality trailers. We work closely with manufacturers to ensure we are bringing you only the best of the best. When we come across a manufacturer who truly excels at their craft and brings only the highest of quality to the market, we like to highlight them and their products. 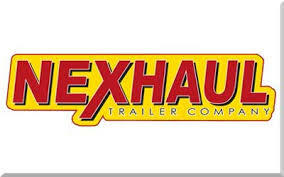 Nexhaul Trailers is one of those brands who constantly impresses with high quality Cargo Trailers, Enclosed Trailers, Open Trailers, Equipment Trailers, and Utility Trailers. Nexhaul exclusively sells to dealers, so in order to purchase one of their masterful trailers, you will need to do so through a certified dealer such as Crossroads Trailer Sales. Currently, Crossroads Trailer Sales has 2018 models in stock of both Utility Trailers and Enclosed Cargo Trailers. The perfect utility trailer for all of your open-air hauling needs. 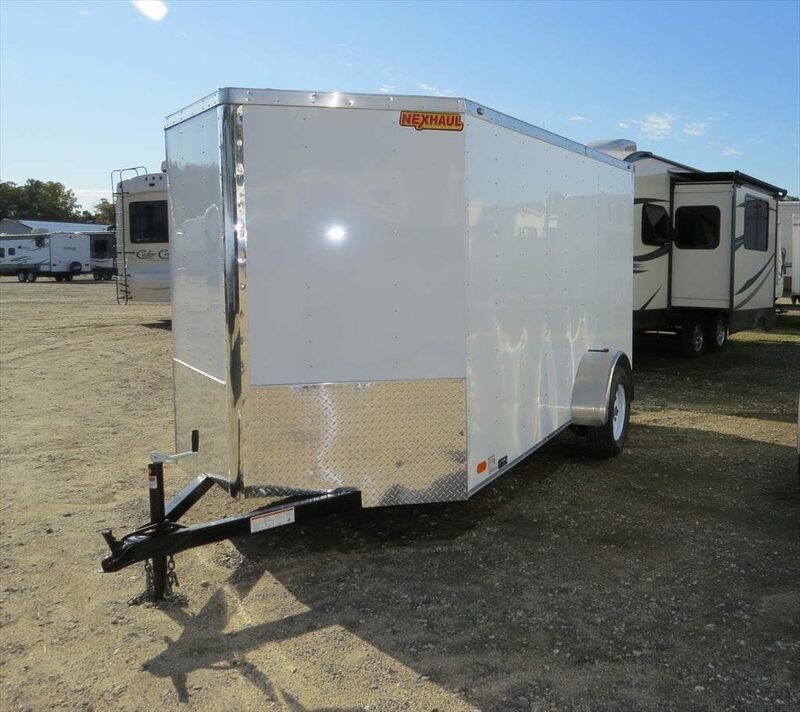 This 82X14 open landscape trailer is ready to work for you. Perfect for hauling lawn equipment, furniture, trash and debris and so much more. The Nexhaul Utility trailer features Tandem Dexter 3500Lb Axles, with electric breaks, and DOT approved lighting. You can get check out this Nexhaul trailer and more at Crossroads Trailer Sales. If you are in the market for a new Enclosed Cargo Trailer, Nexhaul has the perfect option for you. In stock at Crossroads you can find 6X12 Enclosed Cargo Trailers that would be perfect for a plethora of different needs. The Nexhaul V-nose Cargo trailer comes equipped with two 3500lbs. Dexter electric brake leaf spring axles with 4-inch drop, a 32-inch side door and a ramp rear door with bar lock. This particular Cargo Trailer would be a wonderful fit for any entrepreneur looking to expand their business and go mobile! Haul equipment for work or transform this enclosed trailer into something spectacular. No matter your needs, this Nexhaul enclosed trailer is likely to be a great fit. Nexhaul is a well-known and trusted manufacturer, and we wouldn’t be selling them unless they were up to par. Only the highest quality goes through our doors, and we are proud to carry the Nexhaul brand. If you are on the hunt for an aerodynamic trailer with premium features, then Nexhaul Trailers makes the decision easy. For help finding the perfect fir for your needs, whether for long hauls, heavy duty hauls, or extra space for large equipment, visit or call Crossroads Trailer sales in Newfield, NJ for all your RV and trailer needs. Go where ever the trail leads in a Bison Living Quarters Trailer. Packing everything equine enthusiasts seek in models that combine affordable luxury for you and safe transportation for your horses, Bison Coach is the go-to-choice knowledgeable equine travelers, offering seven diverse product lines ranging from simple and lightweight to large and luxurious. Since 1984, Bison has been building horse trailers known for their quality, strength, and affordability. In 2003, Bison once again took the lead in bringing the entire equine experience together under one rolling roof as it entered the living quarter market. Not content to just build a “box” and ship out its horse trailers to be retrofitted with living quarters by another manufacturer, Bison Coach took the bit and committed to become a “one stop shop” for living quarters trailers, converting its Milford, In., manufacturing plant to construct its trailers from nose to tail. By building its trailers under one roof, Bison saves its customers thousands of dollars from not shipping trailers – sometimes across the country – to have living quarters build and installed. 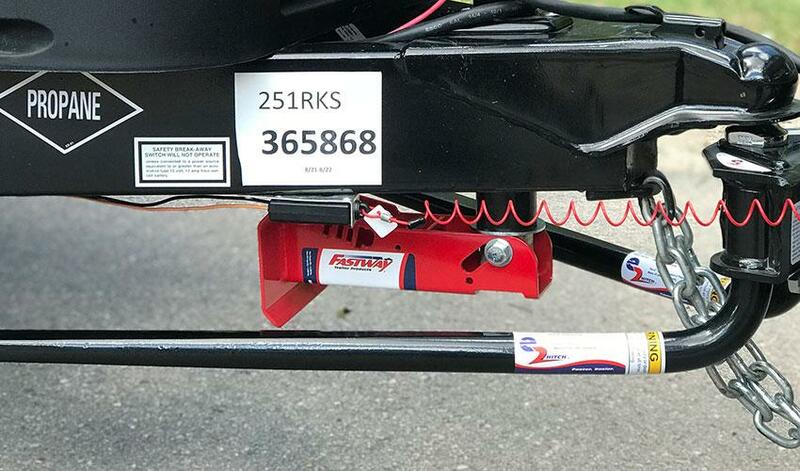 Those miles and all the workers involved add up to thousands in costs to consumers – and sometimes different warranty plans for different parts of the trailer. By building every trailer entirely at its production facility, Bison guarantees a better built trailer, backed by a hassle-free warranty. Today, as part of Thor Industries, Bison continues to be the leading manufacturer of gooseneck living quarter trailers in North America, with a diverse line of aluminum and steel horse trailers. 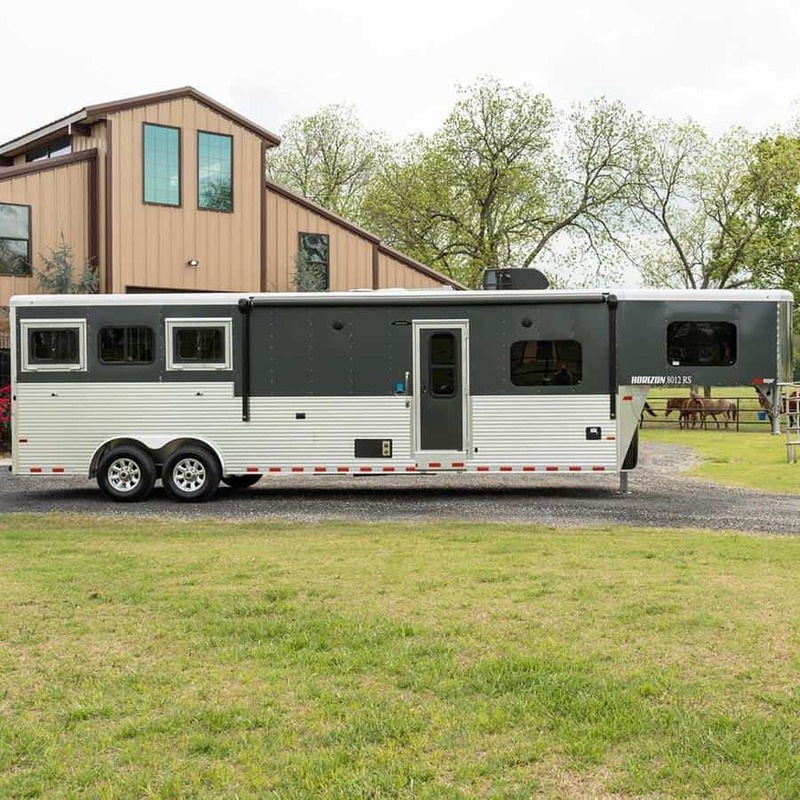 Whether you are traveling the rodeo circuit, trail riding, or hitting the show circuit, Bison Coach has a floorplan to fit your budget and needs. The diverse Bison brand line of gooseneck living quarter trailers includes the aluminum over steel Trail Hand and Ranger and the all-aluminum Trail Boss, Laredo, Silverado, and Premiere. Living quarter trailers are available in two, three and four slant load models with safety and comfort features Bison is known for, including padded stall dividers with gate springs, heavy-duty rubber matting, three-way vents above each stall, molded saddle racks and escape and pass through doors, exterior load lights. Tack areas with molded saddle racks, bridle hooks and brush box are standard. For unequaled strength and value consider the economical steel-constructed Trail Hand and Ranger models. The Trail Hand offers unprecedented simple value while the surprising Ranger is the number one selling aluminum-over-steel living quarters trailer on the market today. The Ranger is a great example of the affordable luxury offered by Bison. The living quarters are filled with features expected on high-end luxury brands, including rich upholstery, shaker hickory cabinet doors, residential plank-look flooring, and LED interior lighting. Find full bathrooms with porcelain commodes, glass-doored residential showers. and large linen closets. When light-weight towability and value are the priorities look to the Bison Trail Boss. The Trail Boss offers a relaxing retreat after a long day of trail riding or competing at a price to fit your budget. Built with uncompromising Bison quality including hardwood beaded maple cabinet doors and rich upholstered seating, full-residential style baths and a queen-bedded sleeping area. The functional trail Boss includes ample overhead storage and a living area slide-out for additional room. Step up into the spacious Bison Laredo, available in 7-and 8-foot widths, which offers residential styling, a full slide-out that creates a roomy kitchen with two-way refrigerator, gas cook stove, with stainless range hood and matching microwave. Perfect for families and entertaining, the Laredo is available with an optional dinette, or sofa. The forward bedroom features a queen bed as well as additional storage, including two shirt closets and overhead cabinets. Bison Coach products are distributed and serviced by select, trusted dealers across the U.S., including Crossroad Trailer Sales in Newfield, NJ, where you can tour the latest Bison gooseneck living quarter models. Look for what’s new and exciting in the Laredo, Trail Boss and Ranger for 2019 at Crossroad Trailer Sales. For more than 20 years Keystone has been producing top quality RVs at affordable prices. Keystone’s commitment to its vision holds steady today as Keystone remains a leading manufacturer of affordable luxury RVs, from compact ultra lite travel trailers to regal fifth wheels.